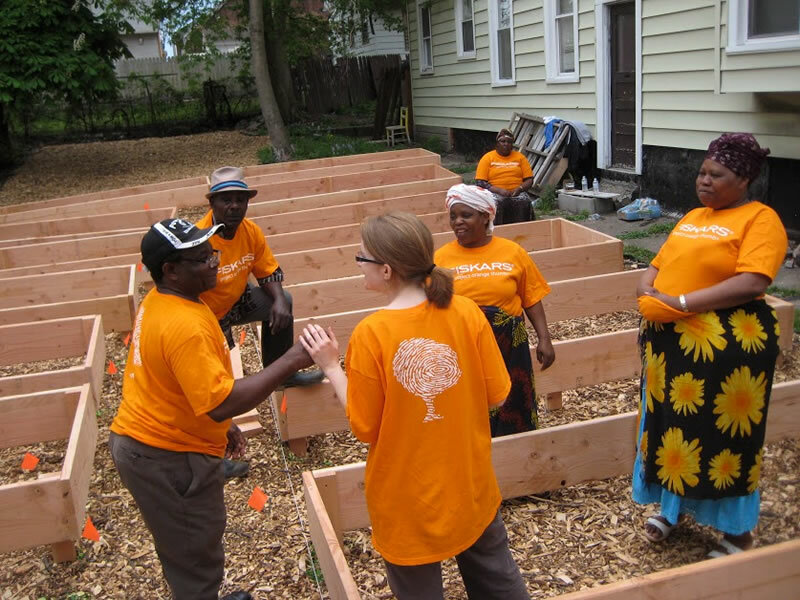 The New Roots garden was created in 2013 with the help of the Fiskar’s Orange Thumb grant. The garden is an extension of the Karibu Garden across the street. Gardeners grow potatoes, tomatoes and a native green called Lenga Lenga in Swahili. The families that work in the garden are primarily from Burundi and the Democratice Republic of Congo. They work together and harvest together. Plots are communal. If you are interested in learning more about the New Roots Garden, please contact their garden buddy, Rozlynn Jakes-Johnson.